When thinking outside of the box for a wedding reception, don’t forget about all the unique places Chicago offers, one being Revolution Brewery. Recently our team at Ashland Addison Floral and Event Décor were able to set up a very personalized wedding on the second floor in the brewer’s lounge, a space filled with brick walls, dark wood floors and tables and an overall warm ambiance. When guests first arrived, the Revolution Brewery’s stage set the mood for a fun and memorable evening. An assortment of wood and wire crates featured the bride and groom’s favorite brews, with personalized labels. Among the collection were whimsical floral designs of various shapes and sizes. 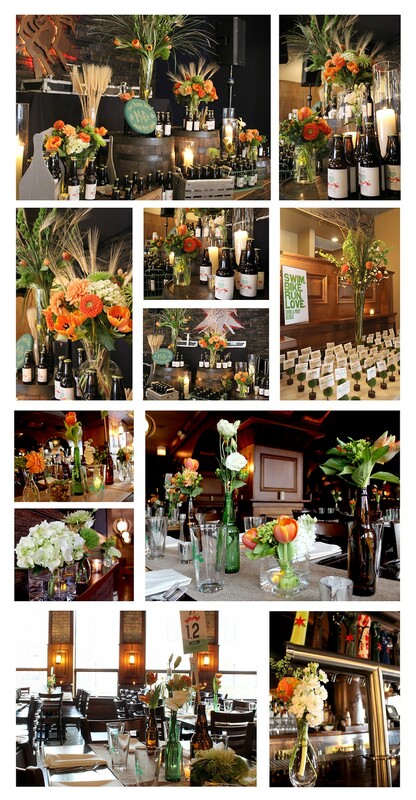 Mason jars and mercury vases were filled with emerald green and vibrant orange blooms. There were tall vases of branches, wheat, berries, orange tulips, trick and greeandos set atop a selection of wood barrels. 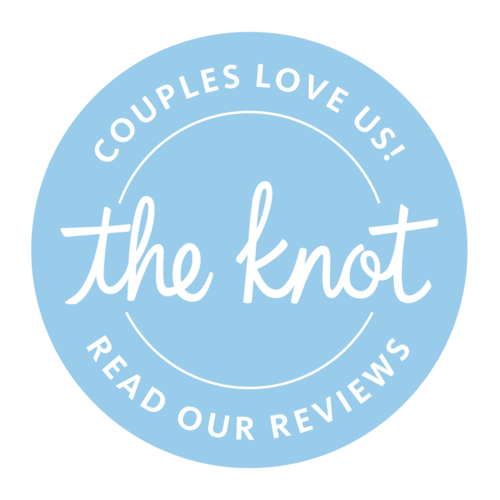 A great statement to leave a lasting impression with the guests. The rectangular dinner tables featured various organic yet industrial chic designs. Each table was unique and different from the next. Natural hemp fabric runners from Private Label Linens were the perfect base for the fun designs. Glass cubes of echevaria were scattered throughout the dinner area. 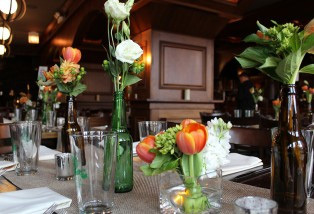 Beer bottles were filled with ranunculus, tulips, bells of Ireland, berries and astilbe. Delicate glass bud vases of dahlias, deli stars and ranunculus effortlessly balanced the look with a feminine touch. Throughout the room, dozens of pillar candles, mercury votives and glowing fairy berries created a lounge style atmosphere. The floral and décor created by our team helped highlight the personalized touches of the couple in this great space for a wonderful celebration.